Toronto Airport Limousines provides you with all sorts of airport limo fleet and airport limo services in Toronto and the GTA from Airport Shuttle Services, airport transportation services and more. We have the right type of limo fleet for your airport limo taxi needs and we will be able to get you to the airport on time and in style. 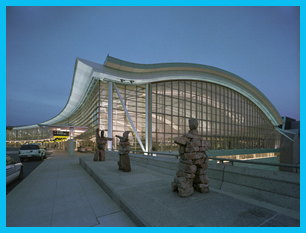 We offer you with airport car services and airport taxi pick up and drop off from Pearson Airport and our experienced drivers will be able to make sure that you will enjoy your ride with us. You see the many Corporate limousines and stretch limos navigating the roads of Toronto everyday, along the highways, major routes and side roads. The allure of a limousine is no longer for the rich and famous, but for the average citizen that needs specialized services whether it be an airport limousine service, corporate limousine service, corporate event limousine or any other type of special event. 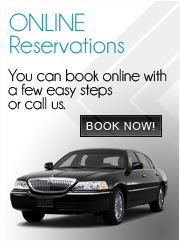 Now, celebrating a special event or a milestone is not the only reason to hire a limousine. With the innovations and developments within the industry over the past couple of decades, limo operators have come to realize the importance of other services beyond the special events and celebrations. Although a corporate limousine service is important for any special occasion, celebration or corporate Limousine event, knowing the best service and what to get when is an important element in any search. The quality of service and the image presented with a limo vehicle can present a first and everlasting impression on those riding in the limousine, and those looking upon it from a distance. The more important the event, the more important this service becomes, and Toronto Airport Limousines are a leading corporate limousine service provider for airports, special events and private use in and around the Greater Toronto Area. With a variety of vehicles available and quick response times, we are always available to service your needs. Living in a world-class and award-winning city like Toronto, there are many other areas such as Markham, Mississauga, Oakville, Brampton, Woodbridge, North York, East York, Etobicoke, Burlington, Barrie and Hamilton that are within arms reach of where you are. Navigating the long roads between city limits and understanding the dynamics of the roads is a job for professionals such as those at Toronto Airport Limousines. Our Corporate Limo drivers are properly attired for every occasion, professionally trained and knowledgeable of all aspects of operating a limousine vehicle in a big city. No matter what you need us for, we have the right fit with a car and driver. With a wide variety of vehicles full of amenities, wet bars, snack bars, electronics and the latest gadgets, riding in the back of a Toronto Airport Limousines vehicle will never get more impressive. A simple car ride from the airport back home will seem like the most pleasant drive you have ever taken in the back of a limousine. Relaxing in the comfortable leather seating and enjoying the complimentary drinks while in the back of one of our vehicles makes any car ride seem a lot shorter and more pleasant. Regardless of what you need us for, we can be there and on time. Our vast array of services is built to accommodate the average citizen and provide quality and satisfaction. Whether you need to get to the airport for a business flight, leaving on vacation, welcoming a visitor or a family member to the city, or entertaining clients, Toronto Airport Limousines is the most professional service you will find anywhere around the Greater Toronto Area. Operating in and around Pearson International Airport, our drivers are specialists in understanding the needs of incoming and outgoing travelers, and Corporate car rental clients, and will take all the extra steps to ensure the comfort and satisfaction of all their riders. If you need an airport shuttle service or corporate limousine service in Toronto that will pick you up from your home in Toronto and drop you off to the Pearson International Airport, you will find the right type of airport limo taxi service with Toronto Airport Limousine. 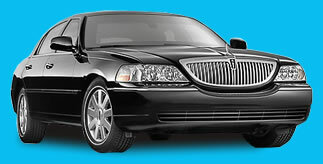 Providing you with the right type of services to and from the airport limo taxi services.